Sweet Pea: Mr. Gus, what's this? 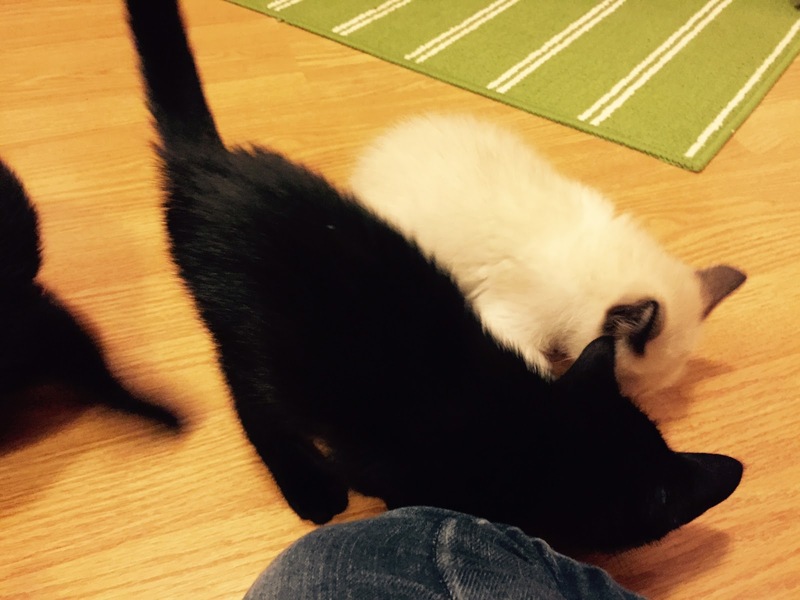 Gus: Come here, kittens! Miss Campbell! 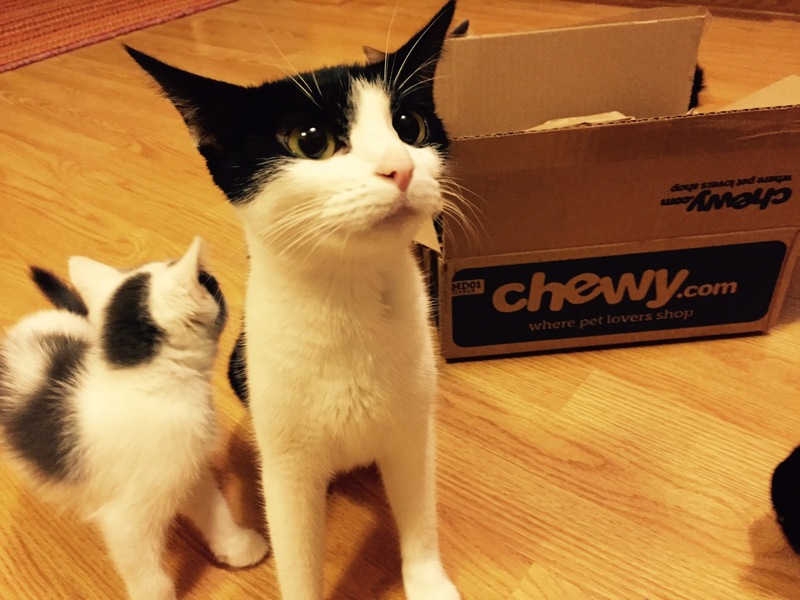 This here is a chewy.com box. It contains the most wonderful things! Hurry up and open it, Mama! Gus: Ooooo...treats! 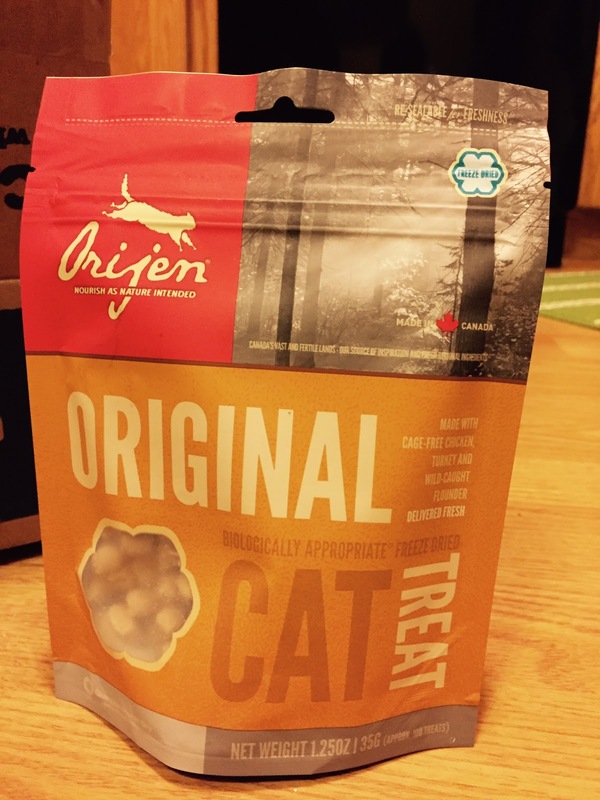 These are Orajen Freeze-Dried Cat Treats. They are made from 100% meat. Nothing else! They are freeze-dried to lock in freshness and nutrition. They are low calorie and carbohydrate free. 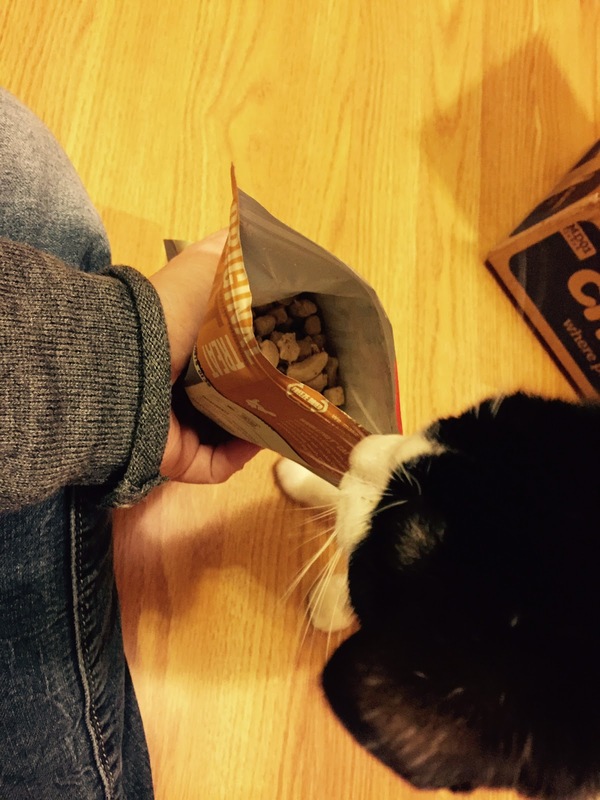 Orijen Original Freeze-Dried Cat Treats feature a symphony of cage-free chicken and turkey plus wild-caught flounder from North Vancouver Island. Each of these ingredients is delivered from local sources in fresh Whole Prey ratios so you can indulge and nourish your cat at the same time. Made without cooking or preservatives, Orijen's Biologically Appropriate treats are gently freeze-dried to lock in the life-giving goodness and flavors of fresh and regional ingredients for a reward your cat will truly love. I thought the treats were OK. Good but not my treat of choice. 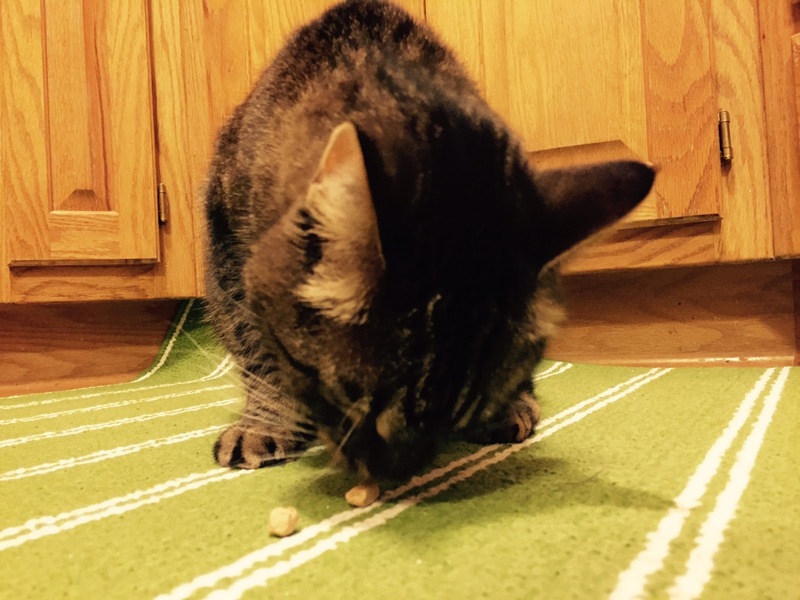 Jaq really enjoyed them and Jaq is super picky about his treats. Campbell LOVED them. 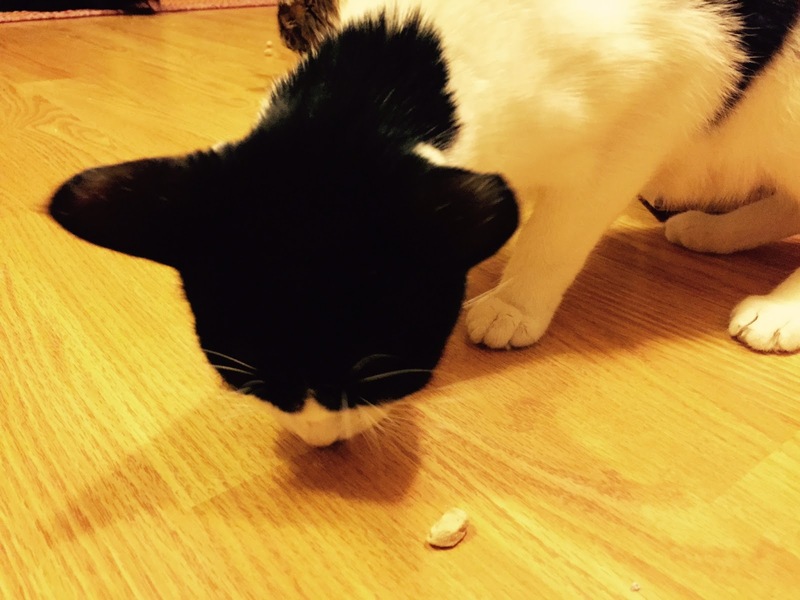 I thought she was going to start a fight if anyone (including her kittens) got close to her treats. The kittens were huge fans too. Campbell: Can I have s'more please? Thanks for the treats, Chewy.com! 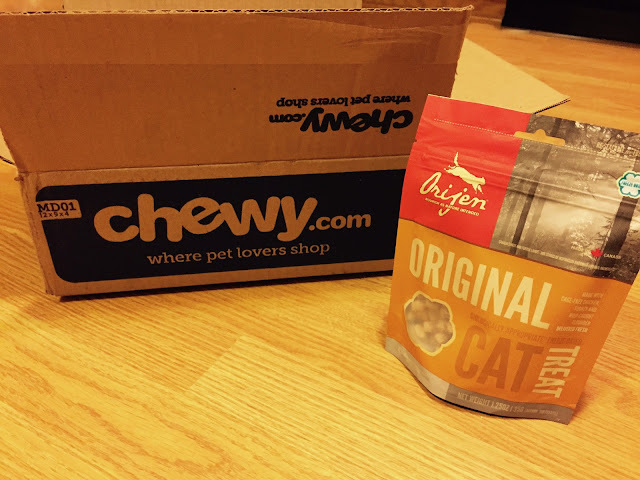 Sponsored Post - The food was gifted by Chewy.com, but all opinions in this post are our own. 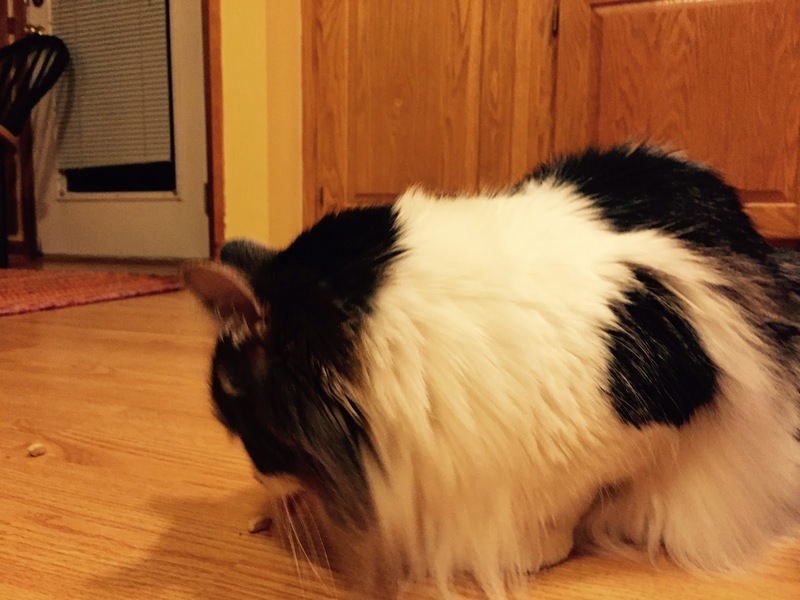 Well, overall it looks like the treats were a hit. 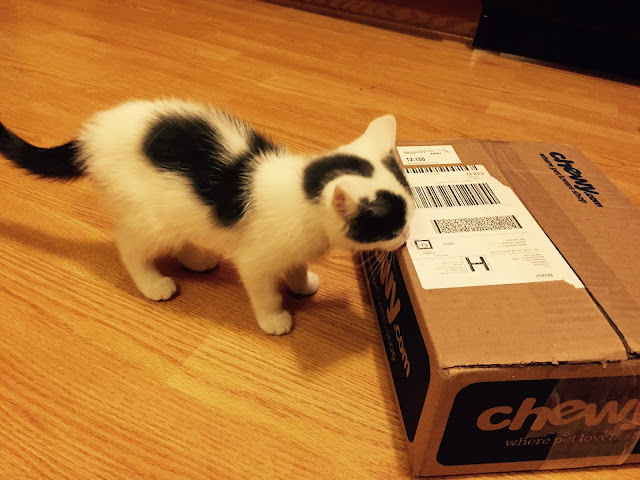 We love Chewy too and order most of our food from them.